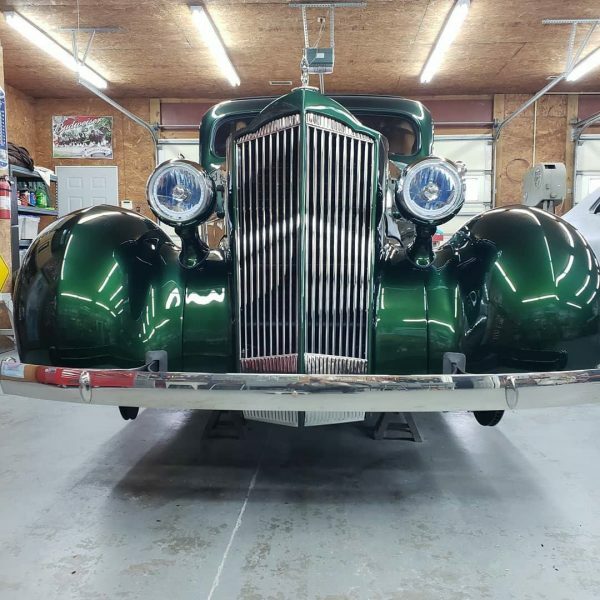 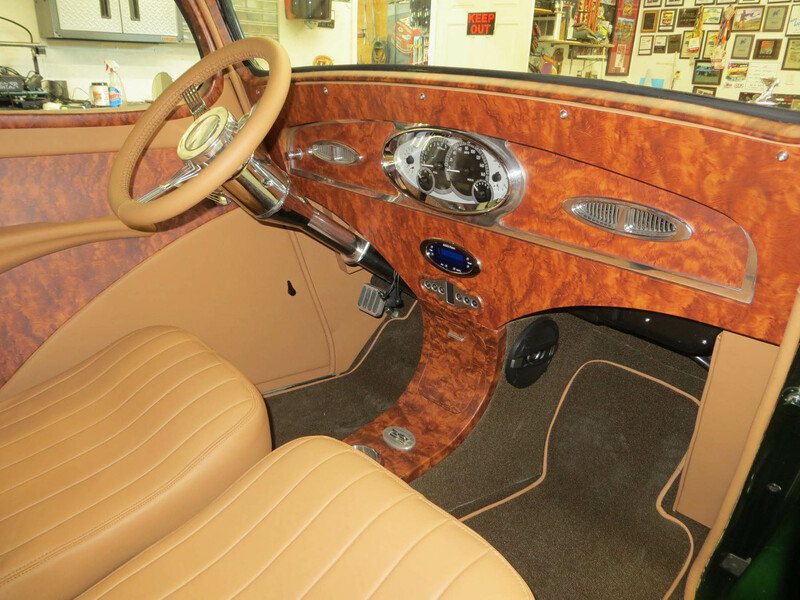 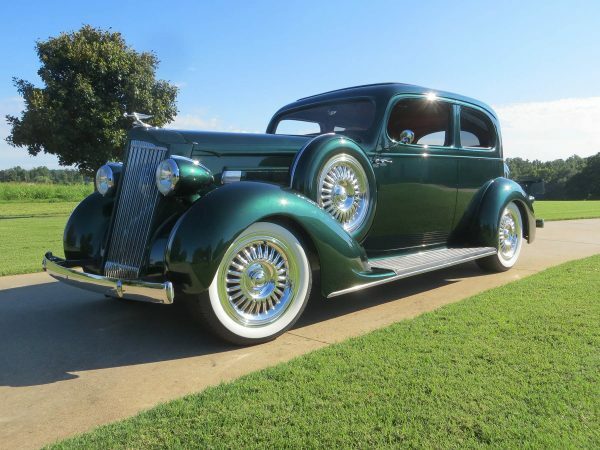 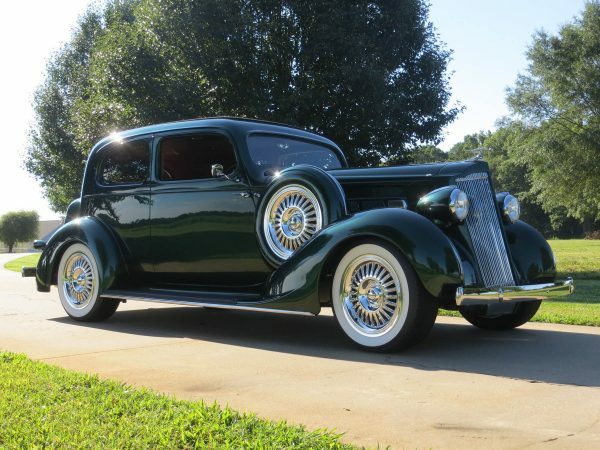 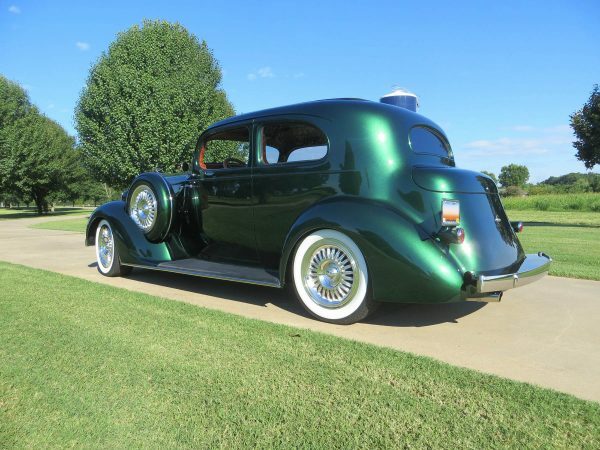 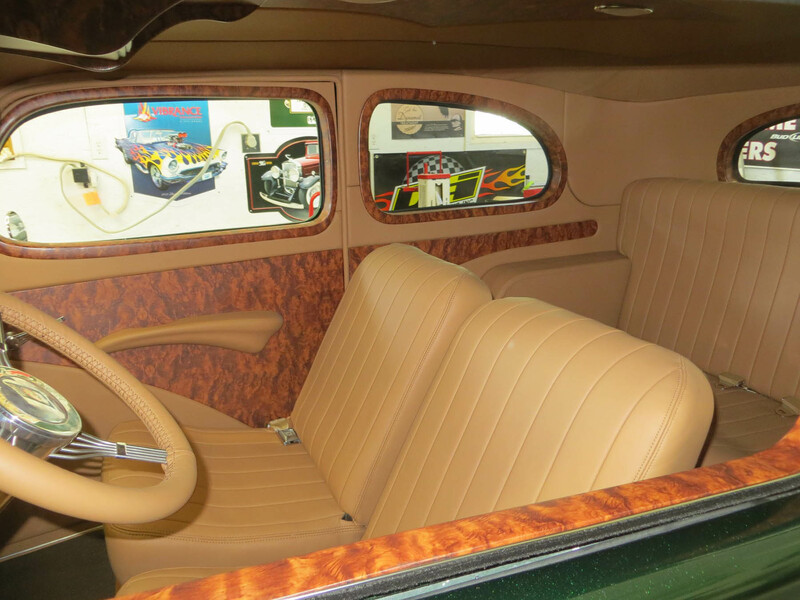 This 1935 Packard One-Twenty two-door sedan called “Lucille” was built by Rooster’s Rod Shop in Gaffney, South Carolina. 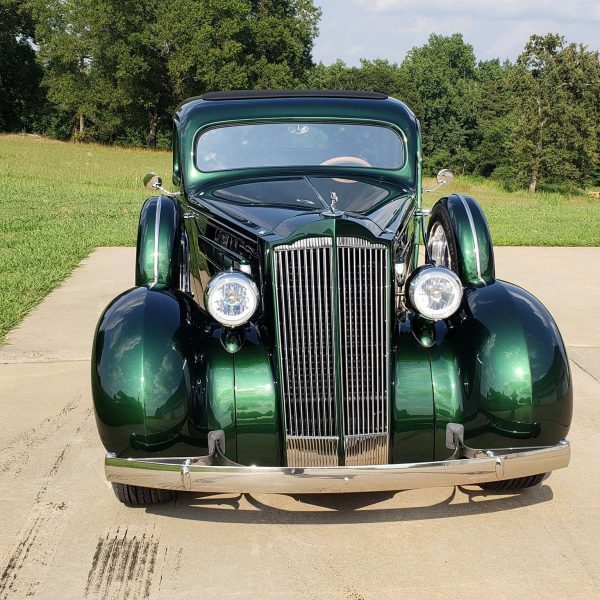 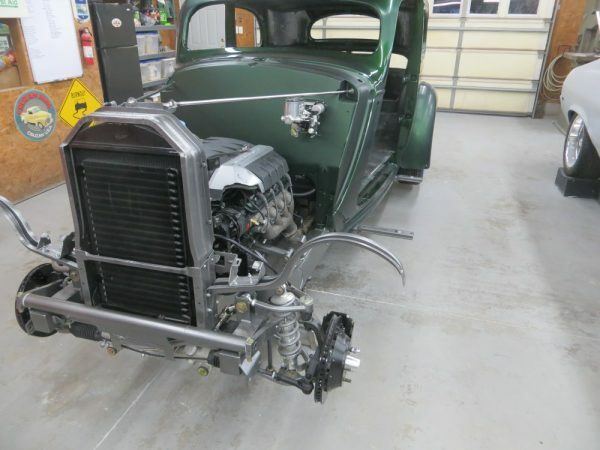 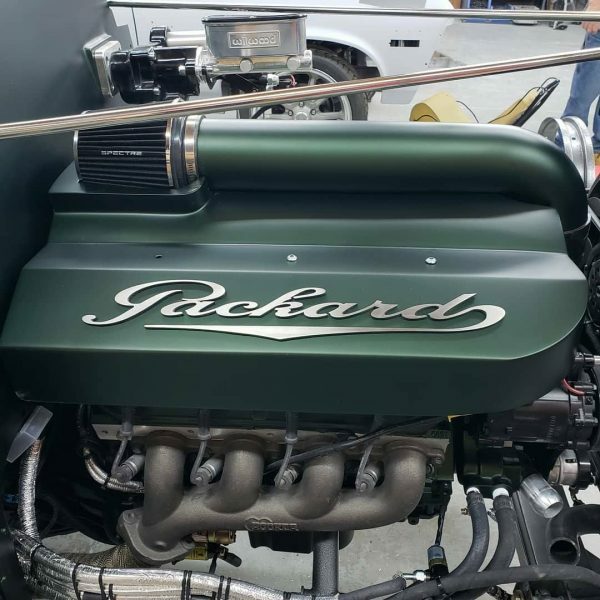 The classic is powered by a 6.2 L LS3 V8 that makes 430 horsepower at 5,900 rpm and 425 lb-ft of torque at 4,600 rpm. 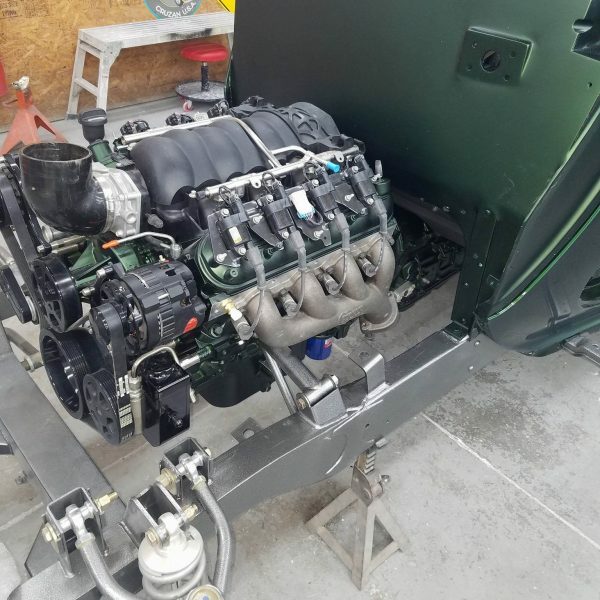 Behind the engine sits a 8L90E eight-speed automatic transmission controlled by a PCS TCM with gear select module kit and push button shifter. 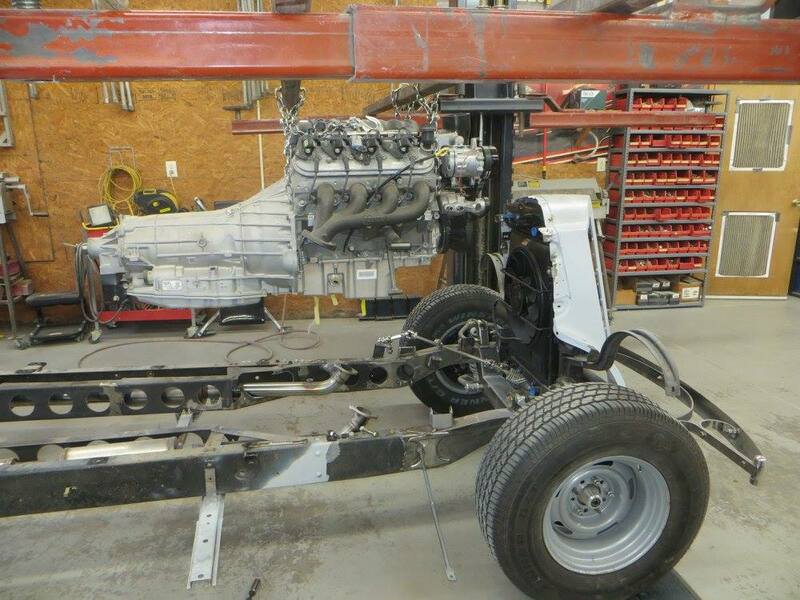 A Moser 9-inch rear end sends power to each rear wheel. 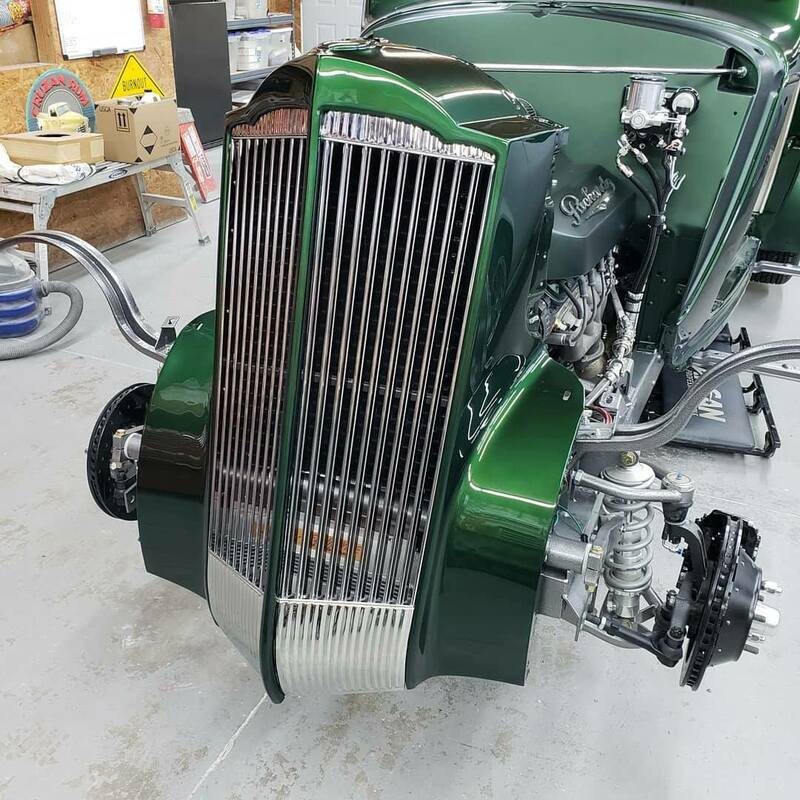 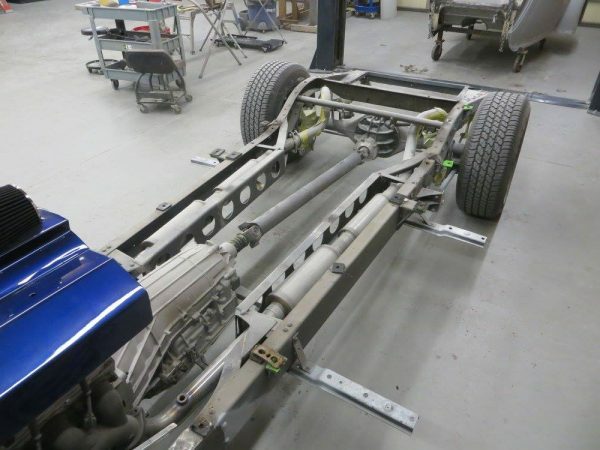 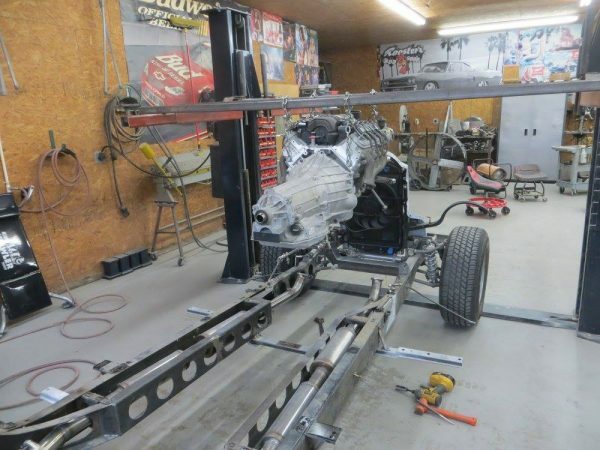 Underneath the body you find a custom chassis and suspension built by Reilly Motorsports with Wilwood six-piston brakes and Viking adjustable coilovers.